Climate change has become a staple headline topic, now even weeding its way through our educational systems, corporate structures and pretty much every aspect of daily life. While there is an ongoing debate about whether or not switching to renewable energy alternatives will contribute to an imminent positive change in the global climate, governments are doing their utmost to do their part. As an institution, the EU is working towards establishing a common energy policy, where member states agreed in March 2007 to increase their share of renewable energy. The target set for all of the EU is 20% by 2020 – but despite grand claims of improvement, is Malta really committed to this target? The EU’s 2008 Energy Fact Sheet for Malta indicates that the country’s targets share is 10% renewable energy (RES) production by 2020, alongside the mandatory 10% target for transport which equally concerns all EU member states. By 2011, Malta RES contribution for transport has been 1.38%. Total contribution (or national energy consumption) by 2005 was 0%, which in 2010 went up to 0.4% and has since minimally increased.In fact, Malta is at the end of the table when compared to other EU countries, alongside Luxembourg (2.9%), the United Kingdom (3.8%), Belgium (4.1%) and the Netherlands (4.3%). The renewable energy forerunners are Sweden (46.8% of renewable energy sources in total consumption), Latvia (33.1%), Finland (31.8%) and Austria (30.9%). Even the newly joined Croatia has had a total consumption of 15.7% – which is very close to its personal target of 20%. There is a general concern that the EU might itself not meet its own deadline, as in 2011, RES production was estimated to have contributed 13% of total energy consumption in the EU27, an improvement over the 7.9% in 2004 and 12.1% in 2010. There is no doubt that many countries are putting a lot of effort into such strategies, but it is regrettable and embarrassing that Malta is still below the 1% mark. To be fair, one needs to account for the entire scenario in an argument. 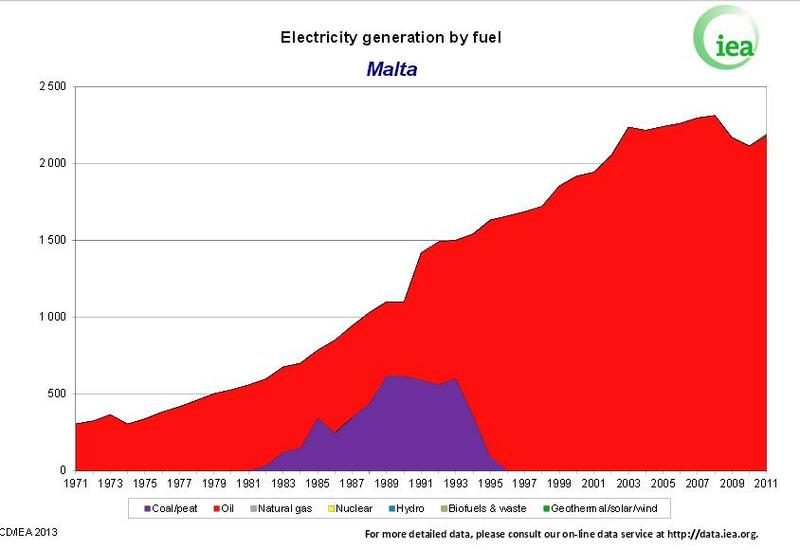 As a country with no natural resources (apart from our cultural charm), Malta imports all of the fuel needed for consumption. 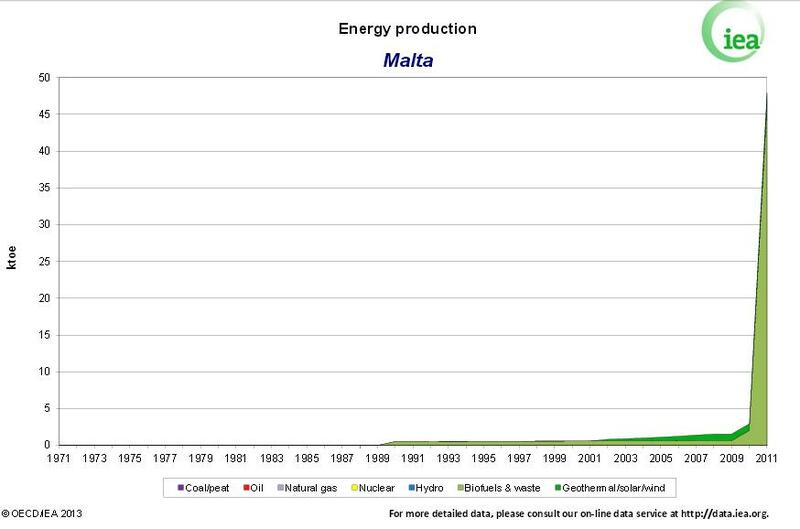 In the entire history of Malta’s existence, it has only produced its own energy since 2009-10, in the form renewables (the <1%). The reality is that Malta cannot possibly compete with other countries that are far larger, resource plentiful and economically stable than we are. Furthermore, many of the renewable alternatives are logistically and obviously impossible to make use of. The natural components of rivers, wood/corn, thermal energy in the Earth’s crust and high tides are respectively missing for hydropower, biomass energy, geothermal energy and tidal energy. Unfortunately, this eliminates the former two options which are the biggest source of RES in the US. With the same argument used above, size and economical and natural resources should not act as barriers for a country to produce renewable energy. Taking the UK as an example, it has an undeniable potential to produce RES, but it is struggling considerably to meet its 15% deadline with its current 3.8% production. While I am not an expert on the matter, I believe that UK Chancellor George Osborne’s decision to build new 40 gas-power power stations across the UK is part of the problem. It appears that the UK government is far more concerned with providing an immediate fix to energy demands and ignore RES targets and climate change concerns – is this situation comparable to what the current Maltese government is doing in terms of constructing an unnecessary gas fired power plant? Many people in the UK were not very happy about Osborne’s move, prompting the launch of the No Dash for Gas campaign, calling for the government to reverse this motion and commit itself to a future that is less dependent on fossil fuels. In addition, if we take Cyprus as an example (which has long been used as a comparison to Malta in the EU) it is fairing quite well in meeting its 13% target with a current 5.4% considering its size, economical situation and natural resource levels – so why are we continuously providing excuses? The only resources that are currently in use are Solar and Biomass & waste. Solar energy can be captured domestically in houses or on larger scales in solar farms. Despite this, it is a very unpopular renewable energy source on a global scale, since the technology is often expensive to deploy and improvements to systems do not happen in such a scale that merit them consideration in most countries. In fact, in the US this is the LEAST from of RES currently used. The only reason it is so popular in Malta is a result of the ‘gold rush’ situation created by government schemes that encourage people to install photovoltaic panels on their roofs at very reduced costs. Biomass energy consists of the burning of biological material to produce energy. The most common forms are usually wood and food crops (corn/sugar cane/soybeans) that are specially grown for this purpose. This also includes biofuel (bio-diesel/bioethanol) that is produced through the fermentation process of biomass and the product is mainly as a source of transport energy. 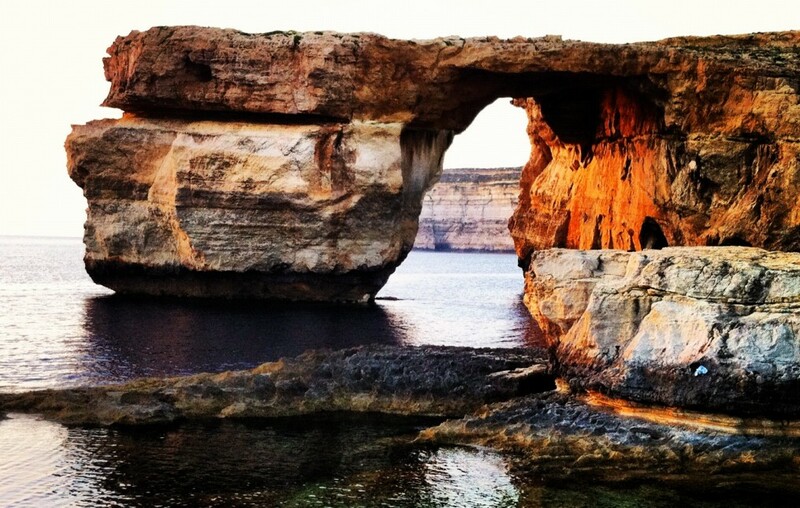 Malta currently imports all biofuel, even though a 2011 article claimed that a foreign investor was interested in opening bioethanol plants in the country – what the hell happened there? Malta also obtains a large portion of its renewable energy from waste sources – the energy that is recovered from waste. This form of energy is currently obtained from landfill gases, water treatment plants (such as Sant’ Antnin) and sewage treatment plants, where gases and heat produced during the treatment process are used to generate electricity. Wind energy and wave energy as other possible sources are still being looked into. A wave energy trail project kicked off last year, but has also fallen off the radar with local media. Wind energy has so far been met with numerous and exhausting speculation about its viability, with recent headlines forecasting significant difficulty in using this resource. The biggest issue I personally have with this scenario is the evident lack of motivation behind Maltese governments to tackle the issue of renewable energy. Fixing a couple of thousand PV panels on the Freeport will do nothing to solve our energy crisis – governments need to abandon this fixation with Solar Panels and move on. The obvious reason behind these is that PV panels provide an imminent source of revenue, especially given Malta’s recent deal with China on the production of these panels for sale within the EU. The reality is that no government will be willing to invest money in research, feasibility studies or pilot projects to figure out whether or not a new renewable energy source is viable. That is why Malta is still dragging its feet at the end of the EU table, occasionally mentioning wind, wave or biofuel production to make itself seem more eco-friendly than it actually is. But who can possibly blame the poor government? It’s only the future of our climate and environment we’re playing with! Interested to see that the wave energy project is dropping off the news in Malta. Maltese readers may be interested in the Perth Wave Energy project now almost complete, in Australia. 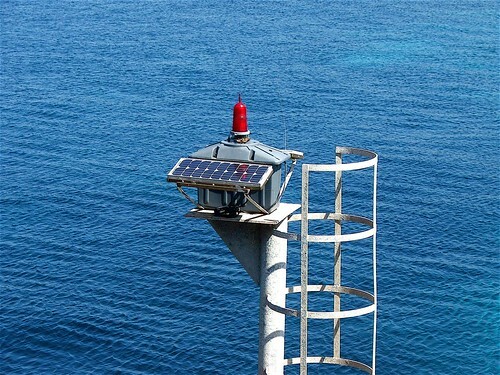 The Project technology, invented by Carnegie Wave Energy, uses wave power to produce both electricity AND desalinated water. That would be of huge benefit for Malta, where fresh water is scarce and desalination is extremely expensive. Best wishes to the wonderful people of Malta, from Australia.